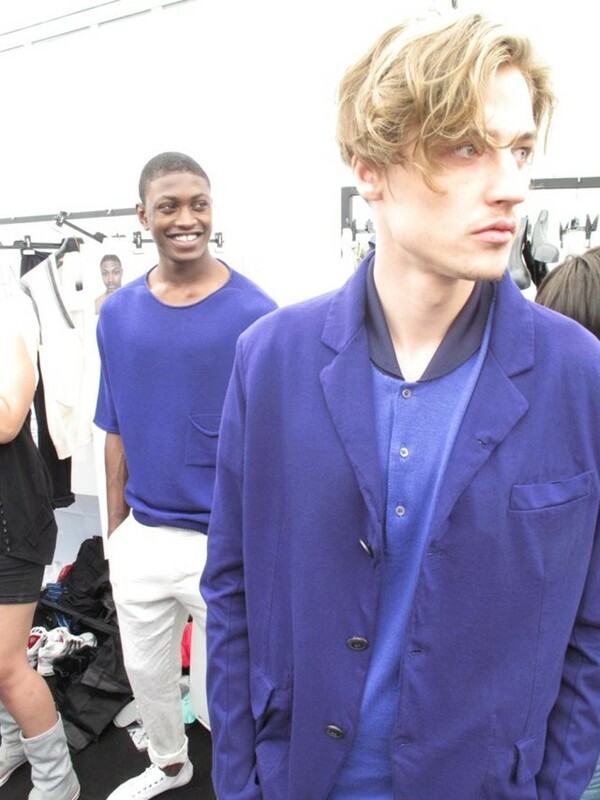 Backstage at Milan Menswear Fashion Week. C.P. Company honed in on the straightforward basics that it is renowned for and used blue as the central theme, stripping away anything fussy or complicated. Backstage photography by Giovanni di Nunzio.